Experienced, licensed Bartender and Event Server (T.I.P.S. Certified) looking to help bring the fun and fancy to your special event. No job too big or small. Ebony provided exceptional services at my moms surprise birthday party this weekend. She made sure our guests were taken care of. She even assisted me prior to the party when I was unsure of what alcohols and quantities to purchase. 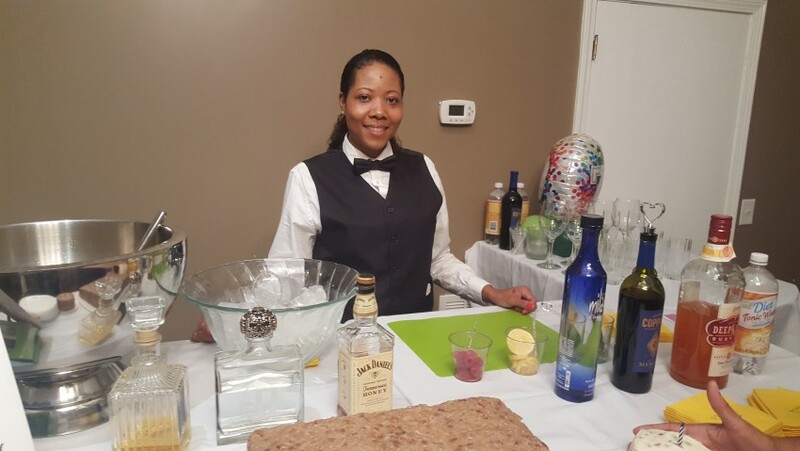 I would definitely recommend her to anyone looking for bartending or waitstaff services. Thanks, Whitney. I appreciate your positive review. I had a great time at the event. You guys were a lot of fun. I enjoyed experimenting with the Sangria recipes - glad you liked them. Ebony arrived early and with her own equipment (just in case) and was proactive about finding ways to be helpful. Great job! Barry, thanks for the great review. It was cool to experience my first Oscar Party. Hopefully, I will be invited back next year :) Please me sure to share my information with your friends, family and associates. Take care. Ebony and Staff were Amazing!! I could not have asked for a more professional crew, from their positive attitudes to their professional attire, they were amazing from top to bottom. I’m already trying to think of my next event so that can come back!! Thank you, Ebony!! Thanks Latasha. It was so much fun. It was heart-warming to see how much effort you put into making sure your daughter had a great 21st. I hope she had an awesome time that she can always look upon fondly. I appreciate your business and generosity - look forward to the next event :). Ebony arrived early and was prepared to start work immediately. She brought some of her own equipment just in case. She was personable and attentive to our guests and was cleaning up and breaking down in between. We were able to spend more time with our guests because of her great service. Thanks Ebony! Thanks Mike. It was a pleasure serving in your beautiful home. What a great family. I am glad to hear you were able to spend more time with friends and family at this year's Christmas Party. 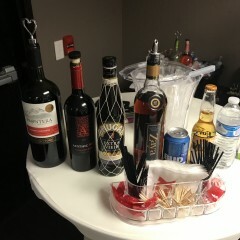 Please keep me in mind should you need waitstaff and/or bartending services for future events. Take care. Ej’s was perfect. Help in any way needed. Professional to the highest degree. Ebony and her teammate were on-time, professional, and definitely knew their stuff. They even kept their composure while much of our liquor and beer went missing. Nevertheless, they did their best to work with what we had and made our event a great time. I'd definitely consider hiring them again in the future! Thanks Lauren. I appreciate your positive review. 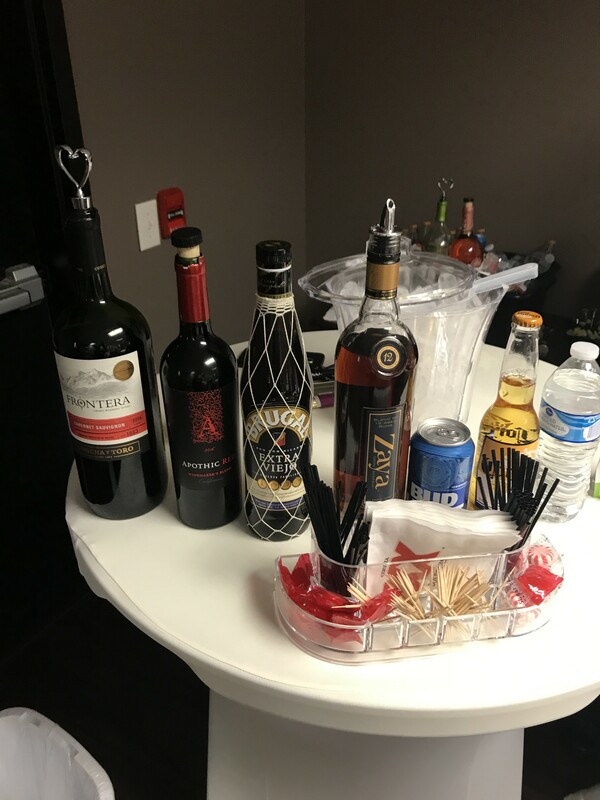 We enjoyed bartending at your reception. Great crowd/event. Congratulations, once again on your nuptials. I hope you eventually found your missing beer/liquor ;) . Thanks Ma'am :). Awesome party. I had a great time. I hope you enjoyed your birthday. She was very attentive ! Thanks, Roger. It was a pleasure serving you and your family in your beautiful home. I appreciate your kindness and welcoming nature. Please keep EJ's Event Services in mind for your future event needs. Thanks so much for your kind words. It was truly a pleasure serving at your reception. You looked beautiful BTW :). I hope you had a great time. Yes, please keep me in mind for future events. I would love to work with you again. Bartender was on time, super friendly. Thank you Sonya. 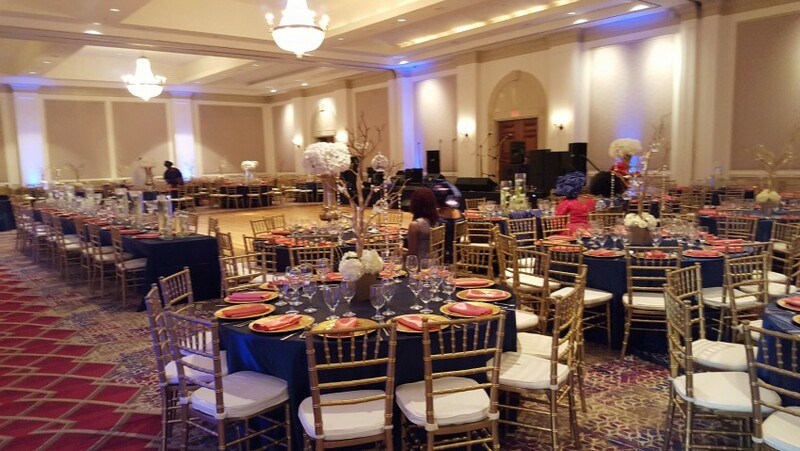 EJ's Events actually provided the server for your event. I hope you agree that Tiffany provided amazing service as well :). Next time, hopefully, I can convince you to use both our bartending and waitstaff services. Fantastic help on my wedding day! EJs event service arrived on time, and properly dressed. They jumped right in and did everything we asked of them and then some. 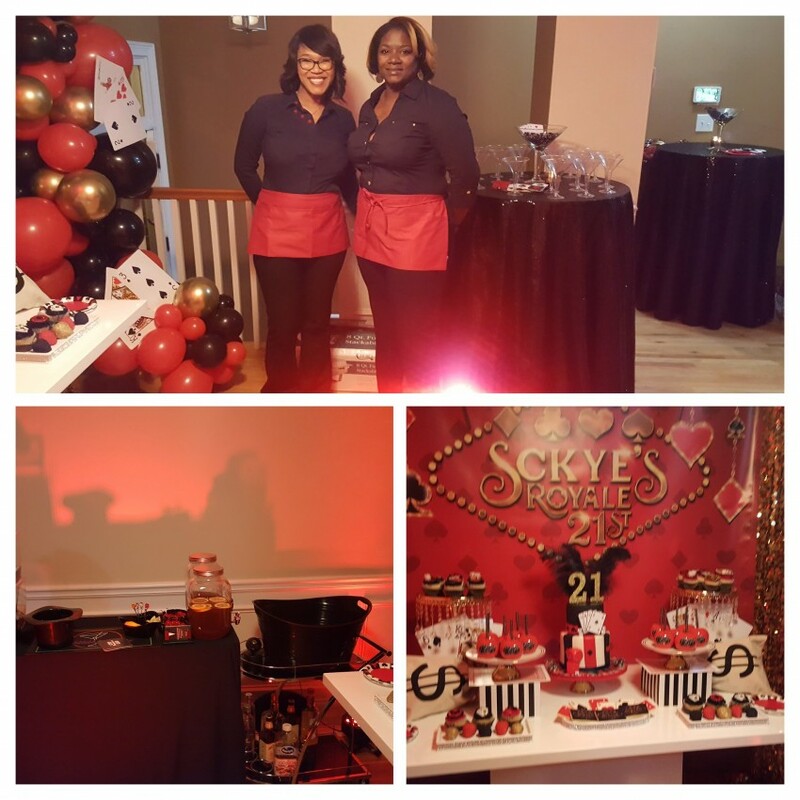 they were absolutely phenomenal, even wedding attendees commented on their professionalism and attentiveness. I would highly recommend them for any event. Used them for the first time. They were timely & professional. Great service. Thank you, Mrs. Seetha. It was a pleasure serving you and your guests at your beautiful home. Again, Happy Anniversary. Wishing lots of love and laughs for the next 20 :). 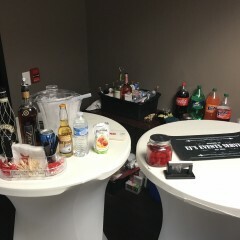 EJS Event Services provided Great Bartending Service to our clients & guests during their Baby Shower. The was very happy with the service. The Bartender was early and very accommodating with a great personality and kept smile the whole time. 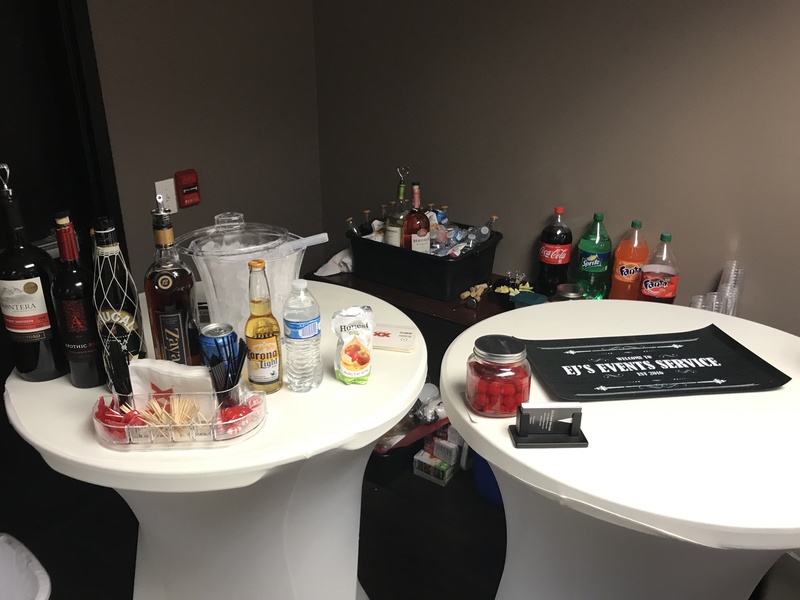 The Bar set up was very well organized and clean, allowing the guests to clearly see all the beverages that were available. Looking for a great Bartender with wonderful services contact them!! We will definitely being using their services for future events!! Thank you, Tiffany. I had a great time serving at the event. Can I say you did a great job coordinating the event as it was decorated and flowed very well. I will definitely share your name/company with potential clients. Looking forward to collaborating to elevate events around the city in the future. This is who you want! She did a great job? A definite must for my next event. No need to look any further!!! Thanks for the great review. We really enjoyed serving you and your guests. Your veggie lasagne was the best I've ever tasted. I may have to contact you to see if I can buy a personal pan :). Please keep me in mind for future events. Take care.. The two person team did a wonderful job. They covered all the food needs along with drink needs. They also handled wedding cake cutting and getting it dispersed to the family and friends. 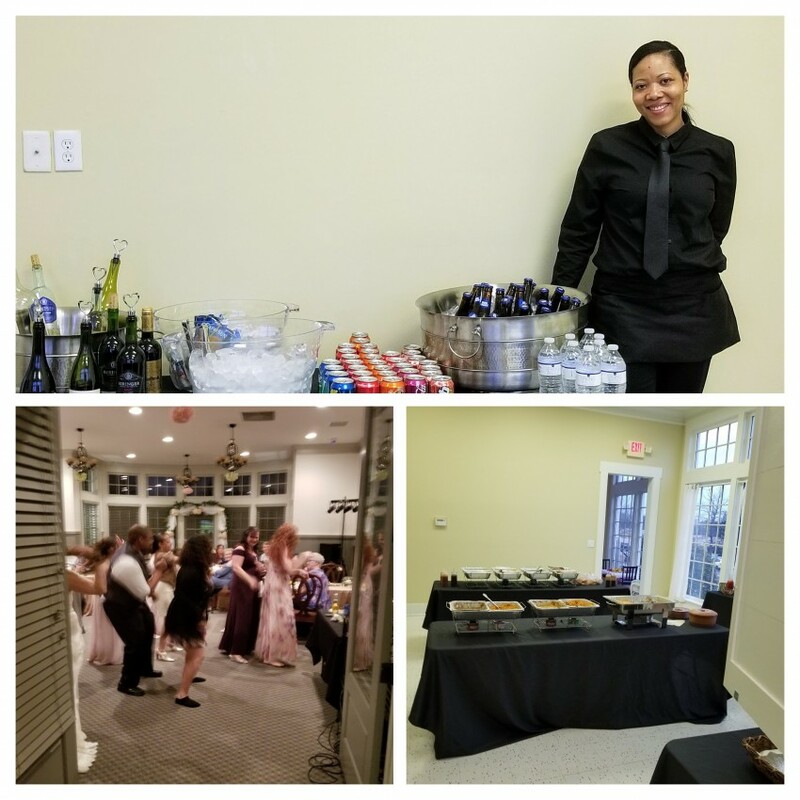 Clean up was wonderful and we were very happy that we hired the team to come assist for our daughter's wedding reception. Thanks Robert. It was our pleasure. You all made things very easy for us to pick up and do our thing. It appears everyone had a great time - as did we . Please keep EJs Event Services in mind for future events. Ebony was absolutely fantastic! She arrived early, was prepared and professional and made our event a huge success. Reasonably priced and made sure everything was cleaned up before she left. We will definitely use her again in the future and highly recommend her! Thanks so much. I am glad you were pleased with my services and the event was deemed a success. It was a pleasure to serve you and your guests. Hope to work with you again in the future. Best of luck with your project plans. Prepare for your expectations to be exceeded! I appreciate your kind words and glad the event was a success. We thoroughly enjoyed servicing your event. The performance by IronE was a special treat. Add 2 more to his fan column. Please keep EJ Events in mind for future events. We would love to work with you again in the future. EJs Event Services were professional, prompt, attentive and courteous for our holiday party. 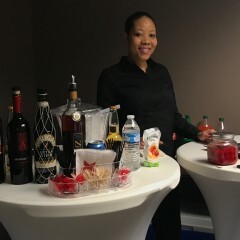 Ebony provided a bartender and server for a group of 25-30 for drinks and appetizers. Our guests were pleased with the service and enjoyed the interactions with Estelle, the Bartender and Tiffany, the server. We will definitely book again!! Great news. I am pleased to hear that the event went well. I look forward to working with you again in the future. Happy Holidays. Had a small private birthday party (less than 40 people). The skill and professionalism was unmatched. I cannot say enough great things about her. To say I recommend her highly would be an understatement. We will be using her again. Thanks so much for taking such good care of us and adding to a wonderful evening. 1. Phone conversation (optional) with an EJs Event Services representative to touch base and exchange ideas on how we can elevate your event. 2. Confirmation contact 1 month in advance, 1 week prior, then day of event. 1. EJs Event Services representative will arrive 15-30 minutes prior (as needed) to shift start time to allow for set up. 2. Bartenders/waitstaff/brand ambassadors will arrive with a professional, positive, can-do attitude ready to jump in where needed to facilitate an elegant event that won't soon be forgotten. 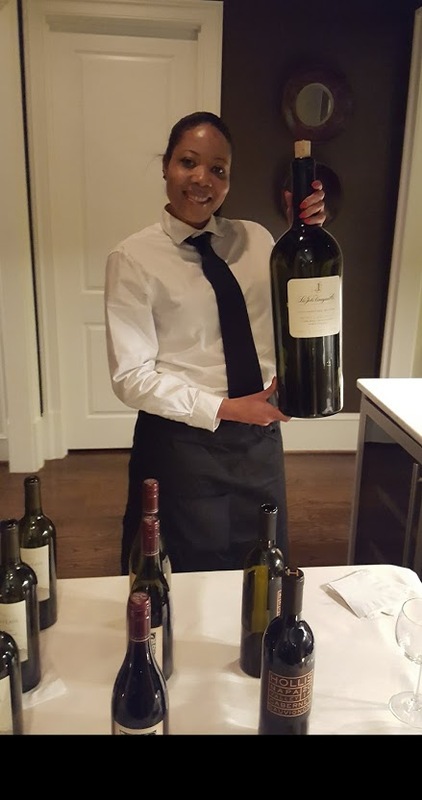 Working as an event bartender/server for 5+ years at a wide variety of events. 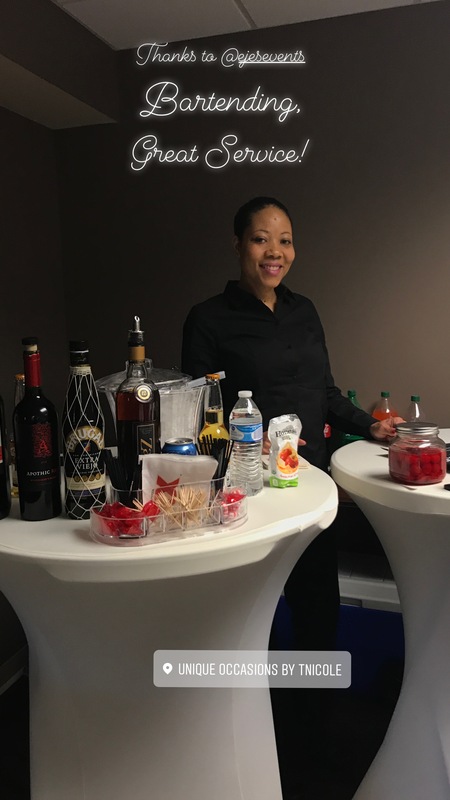 Recently opened EJs Event Services, an event staffing agency matching clients with experienced bartenders, servers + brand ambassadors to increase the probability of a successful, special event to remember. How many staffers will you need? Will you need additional services? Number of staffers requested, distance, tip jar permitted, lead time, additional services requested, etc. Staffer attire (formal vs. casual vs. themed), Schedule booking time accordingly (additional charges could be incurred for requests for staffers to stay after booking time).